The LaCrosse School District #126 meets the K-12 educational needs of approximately 75 students in western Whitman County in Washington State. Their mission is to prepare students to become responsible citizens, reach their fullest potential and compete successfully in a rapidly changing, challenging and diverse world. Larger schools with more resources are increasingly able to upgrade their education technology systems and create a 1:1 learning environment (a laptop for each student). 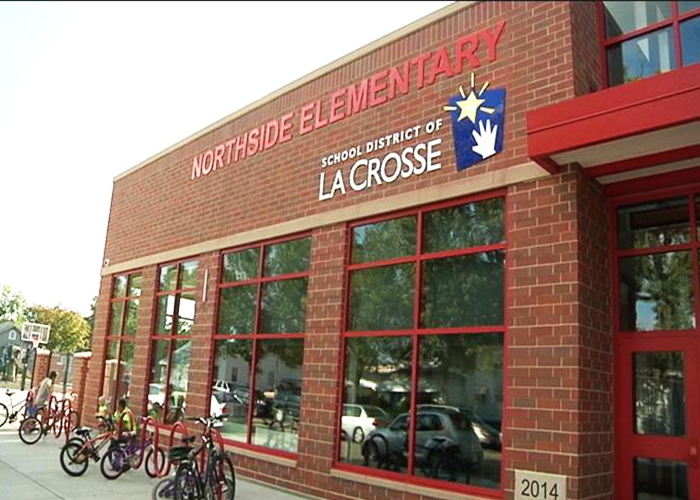 Smaller school districts such as LaCrosse aspire to do the same. “We want to make sure that our students have the same opportunities that a student in a larger school receives,” said Jeff Gates, the Technology Director at LaCrosse. The district’s outdated technology infrastructure was proving to be a major challenge in meeting this objective of preparing students to have competitive advantage in an increasingly digital world, both while in school and after graduating. Furthermore, while the LaCrosse School District’s small class size allowed students to have one-to-one, personal contact with teachers, it was difficult to have in-depth classroom discussions and organize group projects. Gates understood that providing a laptop for each student and creating 1:1 learning could effectively create a “global” and collaborative learning environment; it would enable LaCrosse students to move past the limits of a small classroom. At the same time, 1:1 learning would empower students to become more digitally adept, creative and competitive. The cost of upgrading the school district’s technology systems was a big constraint. Gates recounts: “We looked at increasing the size of our computer labs and getting a laptop for each student, but it was cost-prohibitive.” Additionally, while LaCrosse had previously purchased MobyMax, a comprehensive and adaptive digital education software package, their aging computer equipment had prevented them from using the software effectively. Under Gate’s direction, the LaCrosse School District began working towards 1:1 learning using Chromebooks. LaCrosse had previously purchased computers from CDI and there were a number of factors that led Gates to choose CDI as the education technology solution provider to meet their goals. Since balancing cost with functionality was their primary challenge, CDI’s affordable pricing was a major deciding factor. LaCrosse was able to test the eduGear® Chromebook’s functionality by using CDI’s 30-day free demo offer. This pre-sales trial helped them evaluate how well eduGear® Chromebooks would work in the actual environment where they would be used. Furthermore, according to Gates, “the fact that CDI offered the MobyMax subscription was a real big seller for us.” Available options such as the CB33 Smart Charge Cart also played a role in LaCrosse choosing CDI to provide them with a complete solution to meet their needs. Since June 2016, LaCrosse has deployed 55 eduGear® Chromebooks across the district and reached their goal of creating 1:1 learning for their students.